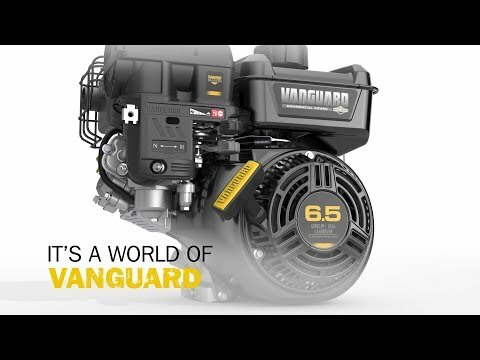 The premium Vanguard® horizontal engine range has been designed and application engineered to deliver the most durable performance. 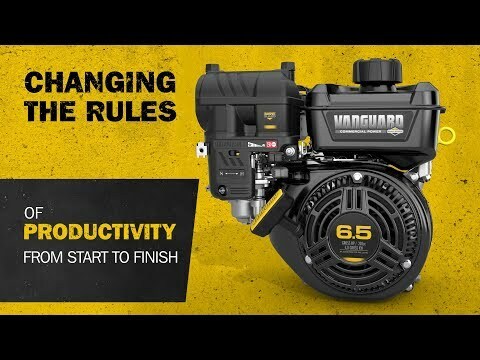 The premium engine range offers a full 3-Year limited global warranty for commercial use which demonstrates our commitment to deliver the best performing products. Starting sequence optimized for shorter rope pull with lower pull force. Simultaneous fuel/ignition shut-off protects the engine from oil/fuel dilution during transport and allows for both on-engine and remote controls. Carburettor optimized to ensure reliable starting and smooth running operation over a wide range of loads. Air Cleaner, Fuel Tank and Muffler optimized to reduce noise and deliver improved tonal quality. 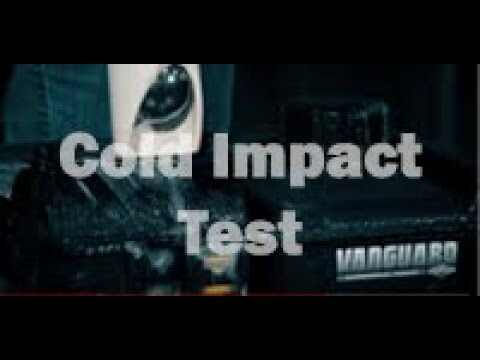 Mechanical compression release and choke optimized for improved cold weather starting. Optional feature allows continuous 45° operation in any direction. 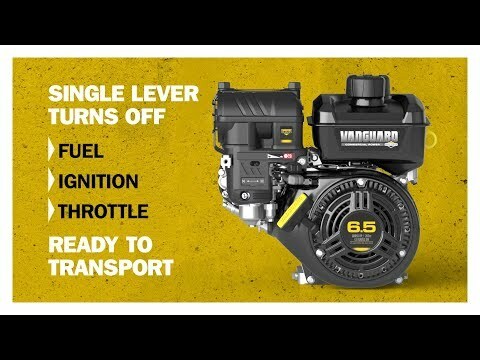 Standard feature on all Vanguard engines, 600 hour replacement interval. Proprietary self-cleaning filter media specially engineered to work with the Vanguard 200 and Vanguard 400 engine. Allows more usable power at idle, precise speed setting and better load response. Provides more durable seal and reliable lubrication. Specially designed fuel system improves resistance to effects of stale fuel. Specially designed blower, rewind and shielding to help engine run cooler for longer. Accommodates leading competitor's controls and dimensions, making it an easy drop-in replacement. Easy to convert from manual friction to return-to-idle or fixed-speed without additional parts. * Power levels are stated gross kilowatts per SAE J1940 as rated by Briggs & Stratton. ** See operator's manual or dealer for complete warranty details.